"Flying ants can be a real problem, and the first step in getting rid of them is finding out where they are nesting and using baits to kill them." Getting rid of flying ants can be a real problem. Number one because they do fly, which means they're up in the air and they can land just about everywhere. Wherever the wind blows, that's were you are going to see the flying ants. Flying ants are the secondary reproductives of an ant colony, so killing them won't solve the problem on its own. The ones doing the damage are still there, so you have to identify what type of ant it is first then find out where they're nesting, and then you can get rid of them. Dishwashing soap is an effective agent against flying ants as it attaches to their bodies and dehydrates them. Get yourself a spray bottle to catch the little creatures in flight and mix two generous squirts of dish washing liquid with water. 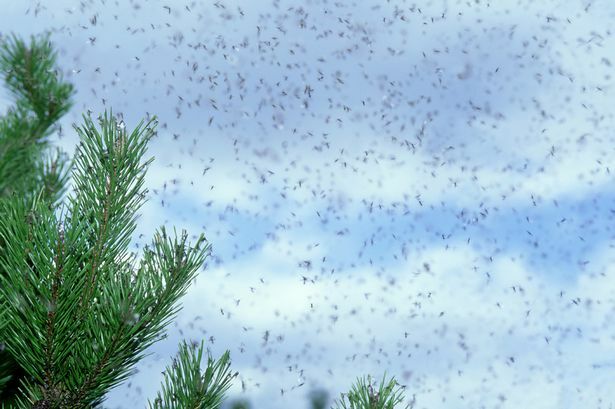 Flying ants are most common when a spell of wet weather is followed closely by hot humid weather and is associated with ants reproducing.